7 Suppressed Technologies That Could Have Changed the World | "Global Possibilities"
The world is steeped in poverty with precious little achieved in the way of real humanitarian advancement. While there are a number of technologies that could have changed the world and helped humanity create a living utopia, the brilliant inventors of these technologies were given a hard time by the ‘big boys’ of the establishment when they attempted to bring their game-changing innovations to the world at large. Some were even murdered for their efforts — all for profit and control. So, without further ado, let’s take a look at 7 suppressed technological developments that could have changed the world, as well as the circumstances that befell them and their inventors. Multi-talented Tesla cut across many disciplinary boundaries. His genius gave rise to a number of world-changing inventions. One of his most famous experiments/inventions was the Wardenclyffe Tower Project. It was Tesla’s attempt to provide everyone on the globe with free energy through harnessing electricity from the Earth’s ionosphere, by means of the towers. Without wires the towers could transmit the harnessed electricity to ground-level areas requiring it. 2. Royal Raymond Rife (1888-1971) – the Universal High-Magnification Time-Lapse Microscope (also known as “The Rife Machine”) for curing cancer and other diseases. 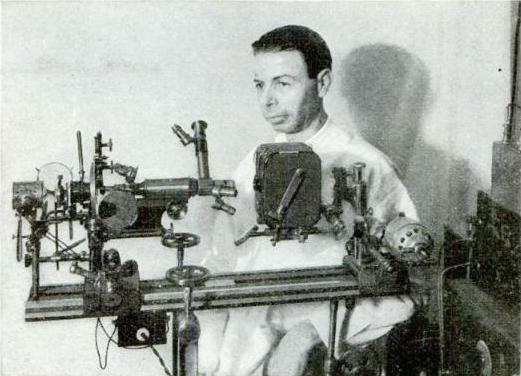 The Rife Machine was developed by an American scientist and inventor Royal Raymond Rife, in the 1920s. The machine is also called a Rife Frequency Generator. Rife and his supporters say that each disease or condition has its own electromagnetic frequency, and by finding that exact frequency and producing an impulse of the same frequency, it is possible to kill or disable diseased cells. After successfully curing a number of cancer patients using his ‘Rife Technology’, the Rockefeller owned American Medical Association (AMA) successfully laid this technology to rest permanently, by closing down his laboratory set ups and seizing his equipment. 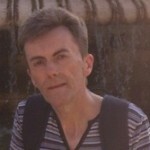 Essentially Rife refused to hand over the rights of his work to the AMA because he saw powerful ‘money interests’ as hidden ulterior motives for obtaining his technology. Rife’s ‘cancer curing machine’ would not be on offer to the world at large because the AMA and the medical/pharmaceutical establishment to this very day, don’t want patients’ cured – that would mean customers lost and no more revenue. So they keep promising cures that never come, as they continue coming up with toxic treatments that only treat symptoms (while ignoring cause and safe natural treatments that heal), virtually guaranteeing the cancer will return and thus repeat business for the cancer industry. After years of ensuing court cases with the big boys of the cancer establishment, having little money at his disposal for fighting back, Rife exiled in Mexico to avoid imprisonment in the USA – the pressures of harassment related to the legal battles and constant threat of imprisonment had been too much for him – Rife died of alcoholism a broken man. 3. Dr. Wilhelm Reich (1897-1957) – Orgone Energy, Cloud Busting and Weather Control. 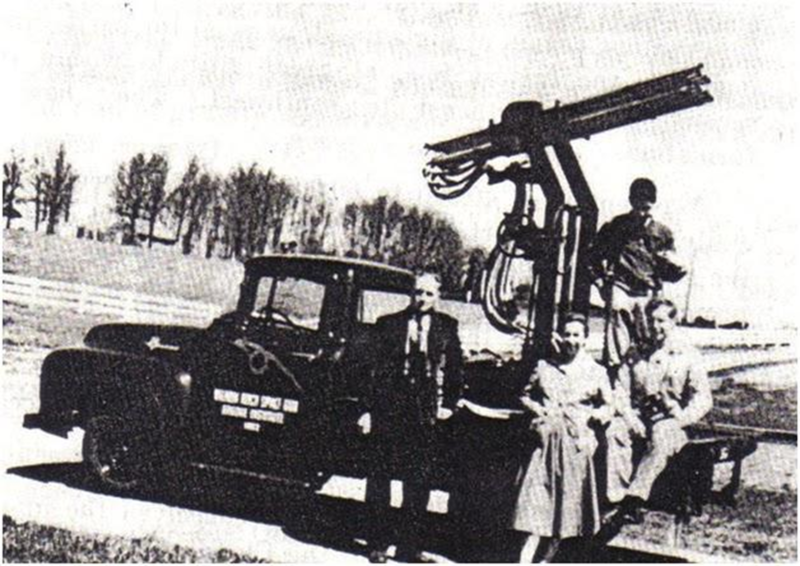 Wilhelm Reich built an instrument he called The Cloudbuster, which successfully induced weather change. It has been used to break many droughts by producing clouds that make rain. This workable mechanism for making rain-clouds for crop irrigation in drought areas was stopped by those ever watchful lackeys for the ruling elite. Allowing something like this could lead to food abundance and greatly contribute to ending world hunger. However, the controllers don’t want world hunger to end. If this happened it would make it more difficult to control people in what would no longer be third world countries. Don’t forget, their hidden enslavement agenda.! 4. Linus Pauling (1901-1994) – ‘Unified Theory’ for Curing Heart Disease. Linus Pauling (pictured top) had worked with Matthias Rath and they came up with a unified approach to curing heart disease. Essentially, they found that heart disease is the result of a long-term vitamin C deficiency. The solution is to treat patients with frequent high doses (e.g. 6g/day) of vitamin C while using the amino acids lysine and proline to remove the atherosclerotic plaque lining the inner walls of the blood vessels that cause a narrowing or blocking of the lumen (space) of the blood vessels, which is responsible for restricting blood flow and cardiovascular disease. However, due to greater interests in corporate profitability and perceived financial threat, this highly successful cheap alternative therapy has not been allowed into mainstream cancer treatment protocols. 5. Stanley Meyer (1940-1998) – The Car That Runs on Water. 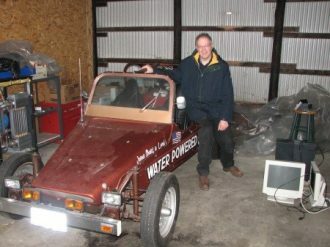 Former NASA employee Stanley Meyer invented a car that ran on water instead of the conventional fossil fuel gasoline. The car was able to travel from New York to Los Angeles on 22 gallons of water! Meyer turned down the offer of a billion dollars to hand over the rights and patents. His death was mysterious, and it has been postulated that his refusal got him murdered. He died of uranium poisoning as he was too much of a financial threat to the ruling elite’s conventional oil industry with its petrochemical derivatives. 6. Harry Hoxey (1901-1974) – The Hoxey Remedies for Curing Cancer. ‘‘This clinic now has under treatment or observation between four and five thousand cancer patients. It handles approximately ninety patients per day. Approximately 100 new patients per week come to the clinic seeking relief, and the evidence we have seen indicates that approximately 90 percent of these are terminal cases. Over the years the clinic has accumulated more than 10,000 case histories, photographic studies and X-ray studies from all over the United States, Canada, Alaska, Mexico, Hawaii, the Central Zone and elsewhere. We find as a fact that the Hoxey Cancer Clinic in Dallas, Texas, is successfully treating pathologically proven cases of cancer, both internal and external, without the use of surgery, radium or X-ray. Having got the news, the AMA tried to buy the treatment. Hoxey refused on the grounds that they would not give it to poor people free of charge. A long legal and political battle raged with much media interest. 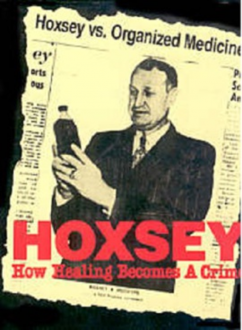 Several thousand people testified they had been cured using Hoxey’s work while the AMA refused third party evaluations. In spite of these circumstances favouring Hoxey, and winning his case, the medical fraternity soon branded him a quack or charlatan. He continued his treatment over the years and was arrested about a 100 times! Each arrest he was able make bail and continue. The fact that no patient would testify against him and the acting District Attorney’s brother was cured by his methods, may well have been the reasons for his continual reprieve. Eventually however the FDA managed to seize the remedies from the patients’ homes and shut down the clinics. Ironically, Hoxey contracted bladder cancer and had to be operated on since his methods did not work on him. This story, however, does have a good ending. A former nurse in one of the clinics, Mildred Nelson, took the treatment to Mexico. The clinic, under a different name, still exists to this day and by all accounts is deemed to a compassionate, caring and most of all successful (80% cure rate, with medical records to prove it) institution. The authorities, the NCI have deliberately looked the other way. The Nazis developed antigravity flying saucer technology during World War 2. It has been said that a secret base was made in the Antarctic which housed them. Then in the latter part of 1945 these super weapons moved to another military base the Schwarze Sonne – the Black Sun – on the dark side if the moon. Using the saucers on dark side of the moon when the time was right an Earth invasion was planned but didn’t materialize. During the wartime a number of eyewitness accounts in London, New York and Prague reported these strange looking bell-shaped flying objects having the German military iron cross insignia… travelling at very high speeds. However, the inventors feel that something is not right, and that the establishment have ulterior motives usually related to moneyed interests, so they refuse to sell their work and the patents. Then the establishment make various threats, including court action or even death, should they continue to refuse to sell their work and hand over the patents. The answers to the many so-called incurable diseases do exist., and there is an infinite abundance of energy for all of us to tap in to. While we need to take necessary and just actions, instead of giving too much attention to materialism we need to shift our focus on how our thoughts can manifest reality. The kind of reality that we really want that takes us from scarcity to abundance, from divided and ruled to united, and from war to peace. etc. The suppression of the technologies I have touched on (and others) need be known to the world. Please share this or other similar pieces far and wide.